Torque and Angle function simultaneously. Instant gyro-synchronization when Torque Meter is turned on and ready to use. Angle presets from 5 to 360° Degrees. Meets all industry standards for Torque Tools and supplied with certificates, (COC). The “TA” series of low-cost electronic torque and angle meters are suitable for automotive repair, light off-road equipment, lawn and garden service, and most DIY applications. 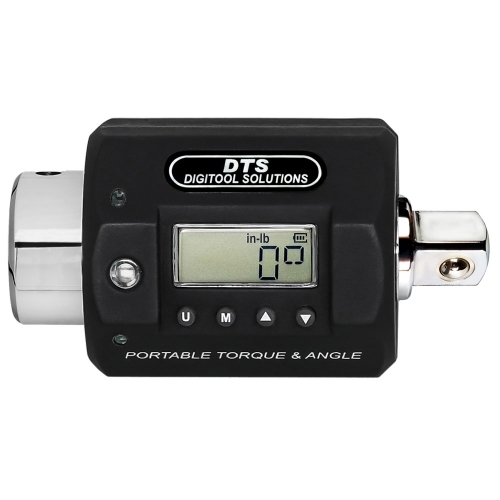 Used with any wrench, socket driver, breaker bar or non-impacting power tools it provides ±2% torque accuracy from 10% to 100 % of full scale, 1° @ 360° rotation precision with in-line torque sensor and eliminates hand-hold position error. The 4-digit display reflects the application of cost-effective sensing and measurement of electronics that still provide double the required accuracy of the service industry. These meters use a conveniently replaceable 3 AAA Alkaline batteries and feature the Digitool Solutions’ exclusive Extended Power Technology allowing up to 200 hours of continuous operation. 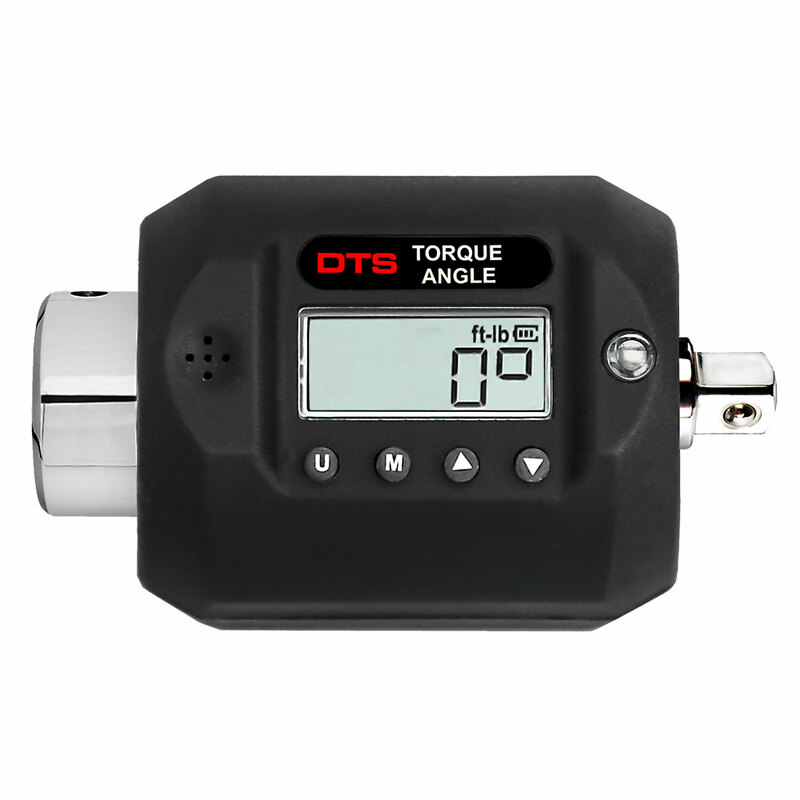 With the same robust design, functional features and intuitive user interface as the “PRO” models, each rotating TA meter provides adjustable torque and angle presets with tri-color visual, audible sounder and tactile vibration alerts. Four models are available, providing 30 “in-lb” to 250 “ft-lb” and 3.4 to 340 “Nm” torque capacity. Standard square drive sizes, are useful between 5% and 100% of full scale torque and between 5° and 180° angular rotation. Compliant with ISO-6789-2003 and ASME B107.28-2005 (Type 2) Standards, each meter is provided with a certificate of calibration including N.I.S.T. traceability.